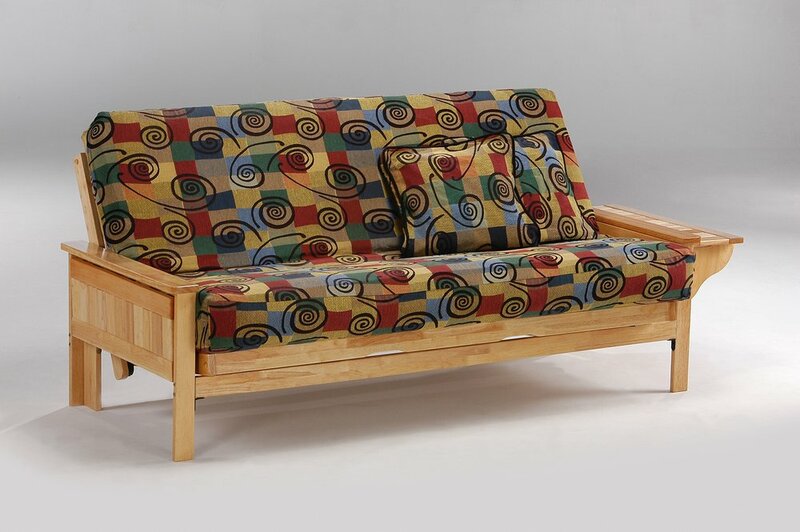 Get casual, get comfortable with these high quality, solid-wood futon frames. They come in a variety of arm styles and with optional drawers. Step by step conversion demonstration, changing positions. convert from a comfortable bed and back to a sofa quickly. 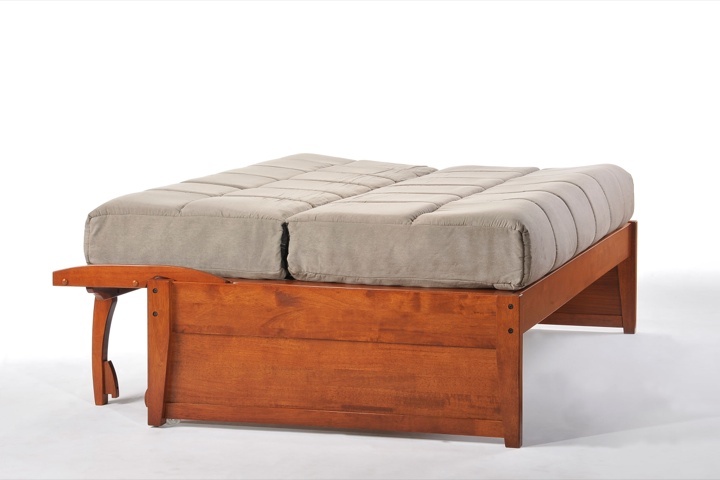 The Lounger is a FUTON BODY that can be paired with just about any futon arm model. It is easy to assemble and easy to convert into its many comfortable positions. If you like one of the styles we offer on website or in store and would like to accommodate your space needs, pick out the style and we can order the right size of lounger futon for you. 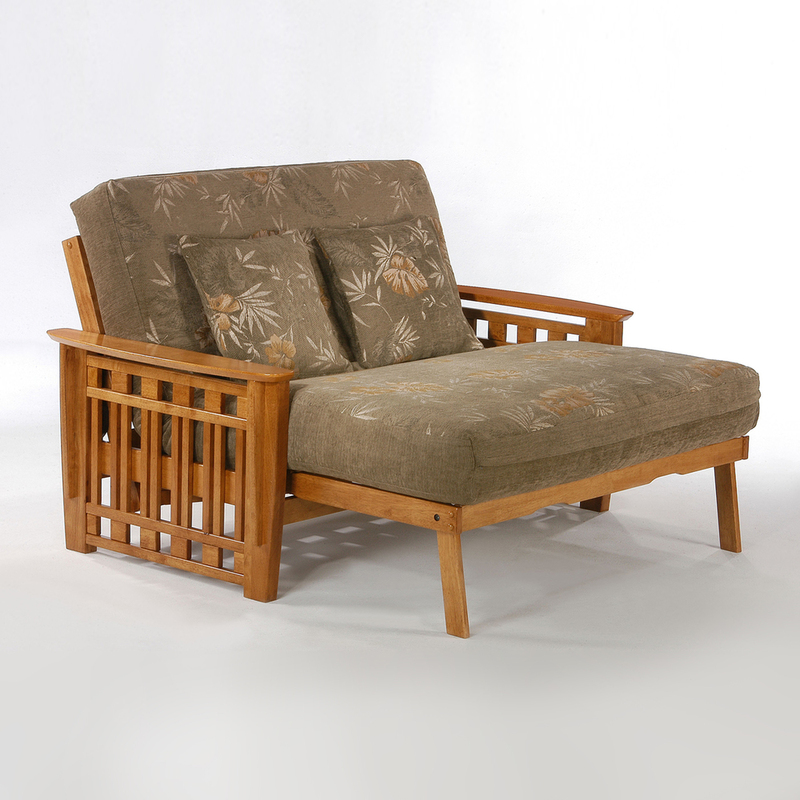 The Lounger extends, reclines, retracts, lays flat, sits up and can generally be configured to suit your comfort mood. The extension slides straight out to support your legs in its extended position. The extension also drops to the floor to create the the unique "steamer position". The extension is easily removable, it hooks on and off. The extension slides back into the seat turning the Lounger into a normal loveseat (no extension utilized). 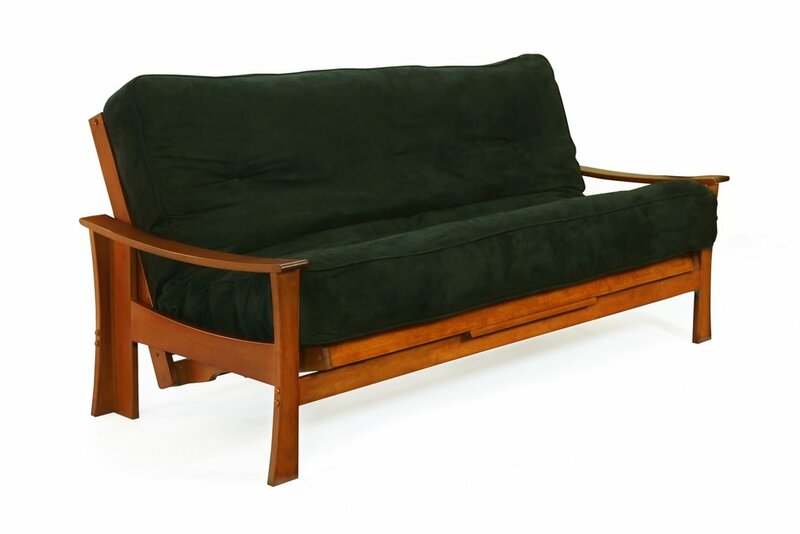 The backrest will tilt back into reclining position (as do all our futon bodies). The Lounger also becomes a bed on a moments notice. The Lounger comes in both 54" and 39" widths. Step by step assembly demonstration. Step by step disassembly demonstration. When transportation is an issue pick conveniently packed futon mattresses that offer comfort and versatility. A comfortable and wonderfully inexpensive mattress we call Seaside. Available pre-covered in microfiber fabrics, this spring-coil mattress is hard to beat. Comes tightly packed in its own duffel bag! Our supportive Pocket Coil Plus Mattress is a perfect fit for your futon furniture. Its comfortable pocketed spring design folds easily so its at home in either bed or sofa positions. That means no more karate-chopping your mattress into place. The microfiber fabric looks great on its own, or add your own flair with a mattress cover. This stylish new daybed is padded and upholstered in a modern grey fabric for style and comfort. 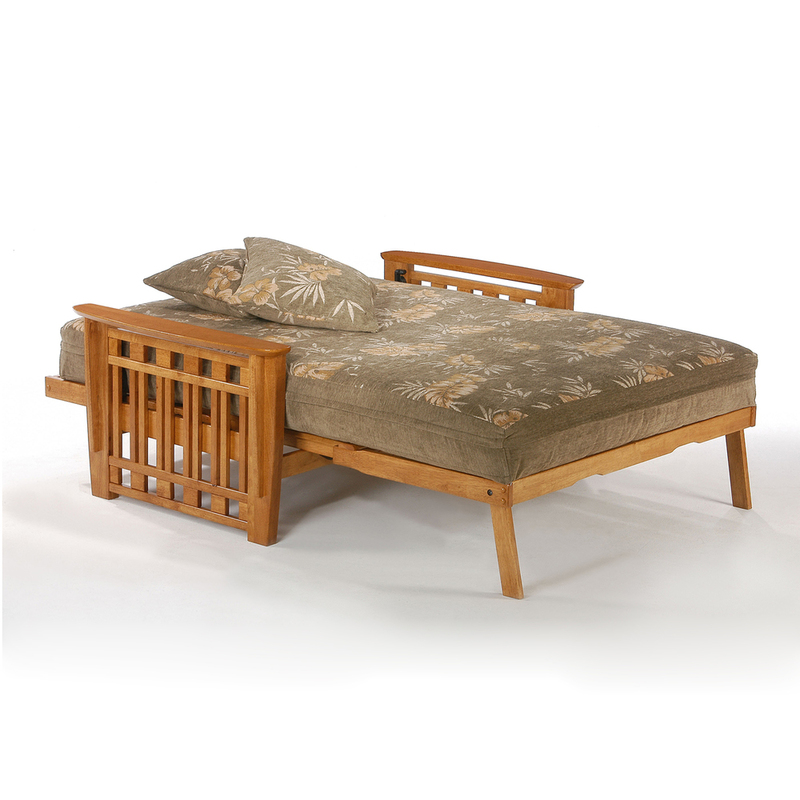 It comes complete with the trundle and slat pack at an attractive price point.